The team at Robert Ellis have many years of experience in dealing with national and local builders, developers and architects to help them maximise the potential from either a single plot through to larger residential developments. Have I got a building plot in my garden? If you have a garden or piece of land and have considered obtaining Planning Permission, we would be delighted to meet you on site to discuss the possibilities of gaining the necessary consents. Whether it be for a single dwelling or more, if you would like an opinion from one of experienced valuers, then please get in touch. We do not charge for this initial consultation, so please call one of our offices or one of the following residential development experts from the Robert Ellis team. If we feel there is a chance of obtaining Planning Permission for residential development we would be only to pleased to put you in touch with one of associated architectural practices who will provide you with the costings and outline the process for obtaining either outline or full detailed planning consent to build properties on your land. Our experienced team can provide you with advice on the type and style of property you should consider building and the level of specification so you are able to maximise the return on your development. When we get to this stage of discussions with the developer it is usual that we would be retained to market and sell the properties on your behalf. 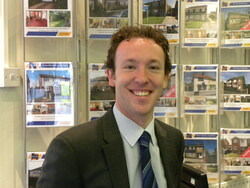 Over the years we have sold hundreds of new properties for our builder and developer clients. Using artist perspective impressions and floor plans we are able to start to market new homes as the foundations are being laid and construction commences. There is always a good chance we can secure a reservation on plots and properties as they are released for sale which can help with your cash flow and funding of your development. 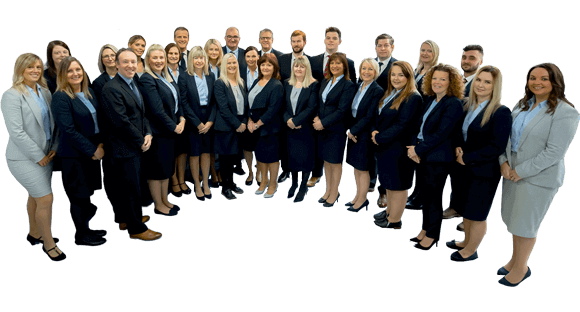 Our branches provide the strongest and most prominent Estate Agency network in the West Nottingham area. In the three main towns in which we operate – Long Eaton, Beeston and Stapleford – we have very prominent main road positions which makes us stand apart from our competitors. 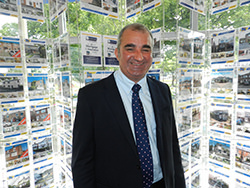 The teams in all these branches are very experienced and know the area well and most have worked at Robert Ellis for many years – the personal service our team can provide will help you sell your properties and achieve the best possible prices. All new properties will be advertised on the main web sites – including rightmove.co.uk, zoopla.co.uk as well as robertellis.co.uk We invest a lot of our own money into maximising exposure on these main web sites which include banners, premium adverts and featured properties. As well as the websites we still take extensive advertising space in the local newspapers and our great relationship with the editors of these papers means we are able to access exclusive editorial features of the new homes we are marketing which can also be circulated to other publications that we feel will help the marketing and sales of your properties. The use of social media is something Robert Ellis have embraced – we have well over 1000 people looking at our Facebook page and we are also posting relevant articles to Twitter and Linkedin. The use of social media will really help to get your property in front of the people looking for a new home. Our team will be only too pleased to let you know more about our marketing and sales package when they meet you.